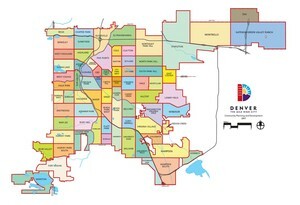 The Polo Club is one of Denver's most distinguished residential neighborhoods. Polo Club is boardered to the north by Alameda Avenue, to the south by Exposition Street, on the west by University Boulevard and on the east by Steele Street. It was brought up upon by four young millionaires who purchased 160-acres of land with the intention of building Denver's first club dedicated to the sport of polo along with upscale housing for Denver's most distict residents. In 1926 the club was finally completed and some of the wealthiest and well known people of the Denver community quickly moved into the Polo Club. The Polo Club regularly hosted polo matches three days a week through the 1920's and early 1930's. By the mid-1930's with the Great Depression in full swing, the club saw a decline in activity and matches had discontinued by 1936. With the club closed, most of the homes were sold by December of 1941. However Lafayette Hughes, who was the neighborhoods first resident and builder of the 33,00 square foot Belcaro Mansion, remained and formed the first home owner's association of the neighborhood in 1946, enacted in order to protect the residents future privacy and his own investment. After he past away 34-acres of his land were sold and turned into the Polo Club Place subdivision in 1958. Today the Polo Club remains one of the most exclusive and secluded neighborhoods in the city. Just around the corner lies Cherry Cheek and with only a short drive to downtown, it's an ideal location for familys who want the exclusiveness of a private neighborhood, with it's luxurious and fabulous homes, but with the benefits of being in the city.